The Speak Out 4 Kids team launched their new website www.speakout4kids.org.au on Thursday 27 March at Wigay Park. 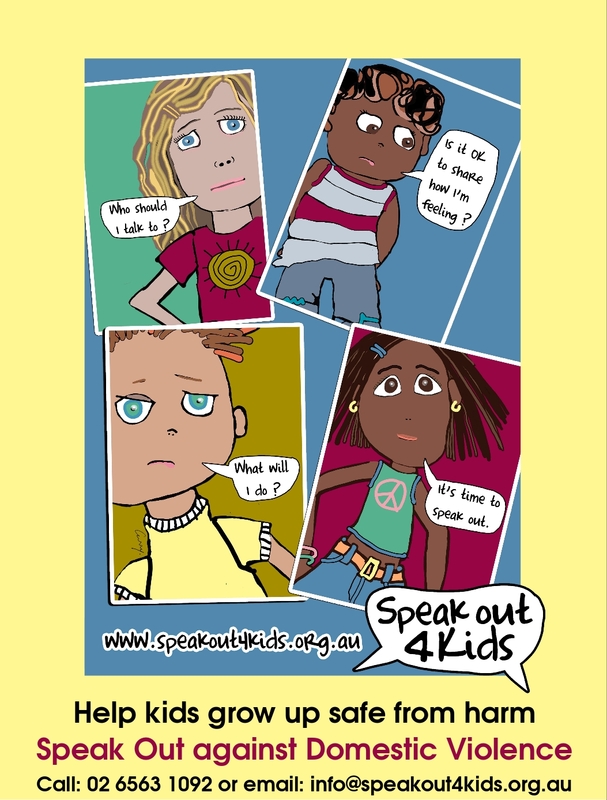 Speak Out 4 Kids is a partnership initiative of Kempsey Women’s Refuge and Kempsey Families Inc. to address, educate and respond to the issue of the devastating effects of Domestic Violence on young children. The project has been funded by Macleay Valley Communities for Children Plus – which is an Australian Government Initiative. “We are very excited to be launching the Speak Out 4 Kids website. We believe by offering a site that is targeted at the Macleay Valley we can raise the awareness and encourage a ‘whole of community’ response and work together towards zero tolerance of domestic and family violence” said Natalie Smee, Project Manager. 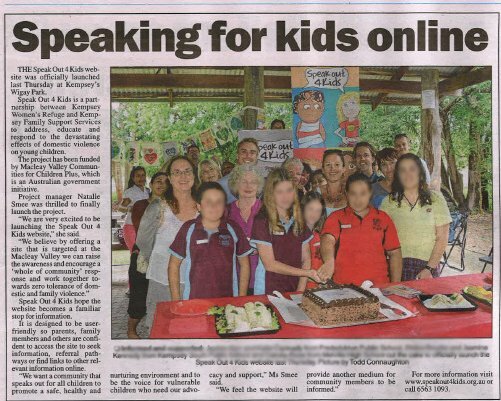 Speak Out 4 Kids hopes that the reputation of the website becomes familiar and is user friendly so parents, family members and the community are confident to access the site to seek information, referral pathways or utilise the linkages to other relevant information online. “We want a community that speaks out for all children to promote a safe, healthy and nurturing environment and to be the voice for vulnerable children who need our advocacy and support. We feel that the website will provide another medium for community members to be informed and feel supported to “Speak Out 4 Kids”.